Cragg House Farm is a traditional Lakeland Fell farm which runs a flock of approximately 350 Herdwick, 140 Swaledale and 100 Cheviot sheep. 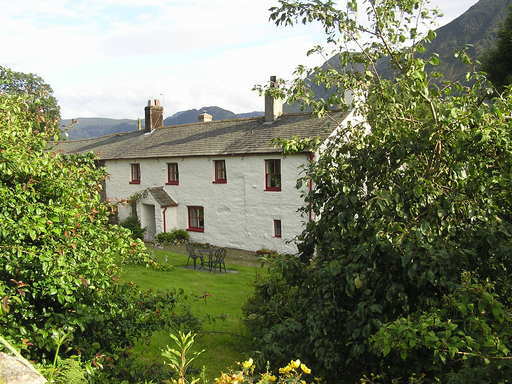 The farm itself lies in the relatively untouched village of Buttermere combining many interesting points of archaeology, geography and wildlife – not to mention stunning views. The farm tenants, John and Vicki Temple, have a keen interest in nature and the environment which is reflected in the business. They are also keen to promote Fair Trade, supplying a welcome pack of Fair Trade goods in the Holiday Cottage. The farmhouse is a traditional property dating from the 17th and 18th century. It is a grade II listed building and therefore retains many of its original features. Cragg House Farm offers inexpensive good quality accommodation with the a holiday cottage sleeping two people and a camping barn sleeping up to eight people. The holiday cottage is already fully booked for 2016. If you would like to be considered in case of a cancellation or are interested about booking the cottage for 2017, please contact us.